Assam Chief Minister Sarbananda Sonowalon Thursday appealed to the people of Assam not to oppose the Joint Parliamentary Committee (JPC) amid hue and cry involving the Citizenship (Amendment) Bill, 2016. “Formation of JPC is a democratic process. The JPC will cooperate so I appeal to the people of all sections not to oppose it,” said Sonowal after reaching New Delhi. Chief Minister Sonowal’s call assumes significance as 16 indigenous organisations from Assam have openly opposed the Citizenship (Amendment) Bill 2016. Some sections have also opposed the appointment of sitting Chairman Rajendra Agrawal. Sonowal landed in New Delhion Thursday. Sonowal, according to the sources, is likely to meet BJP president Amit Shahon Thursdaynight. He is likely to brief Shah about the present situation that erupted following the Citizenship issue. Last week Chief Minister Sonowal called on Home Minister Rajnath Singh and Joint Parliamentary Party (JPC) chairman Rajendra Agrawal and briefed them about the ground situation. Sources said that the CM may also discuss the matter if his ministry expansion in Assam. “If we do any ministry expansion, people of Assam will definitely come to know about such ministry expansion through media,” said Snowal. Meanwhile, Sonowal also hailed Supreme Court’s verdict on the Judge BH Loya death case. “Hon’ble Supreme Court’s decision in the Judge Loya case has once again exposed the Congress party and its associates in its blatant attempt to misuse institutions to settle political scores. 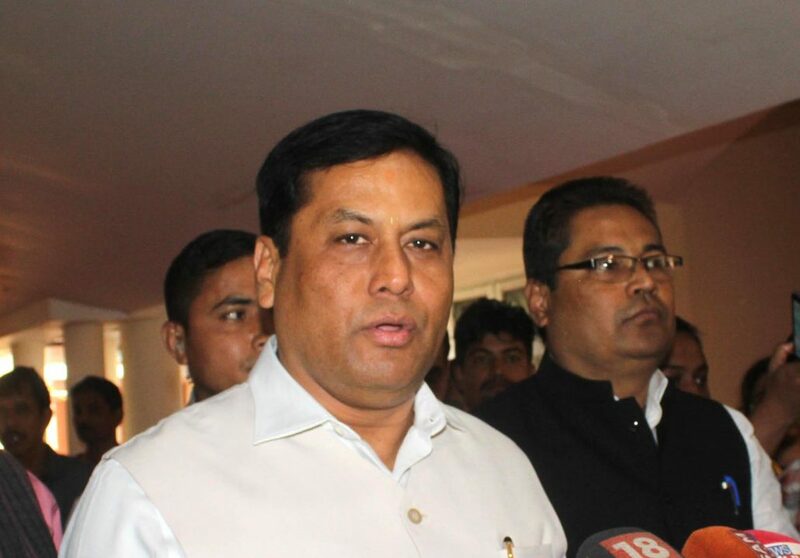 Their lies and political propaganda against BJP and its leaders falling flat,” said Sonowal.